As I mentioned last week, I’ve been working on my entry for the BBC’s Little Painting Challenge but now I’m in a bit of a quandary. I decided I wanted to incorporate some miniature portraits but wanted something to link them all. 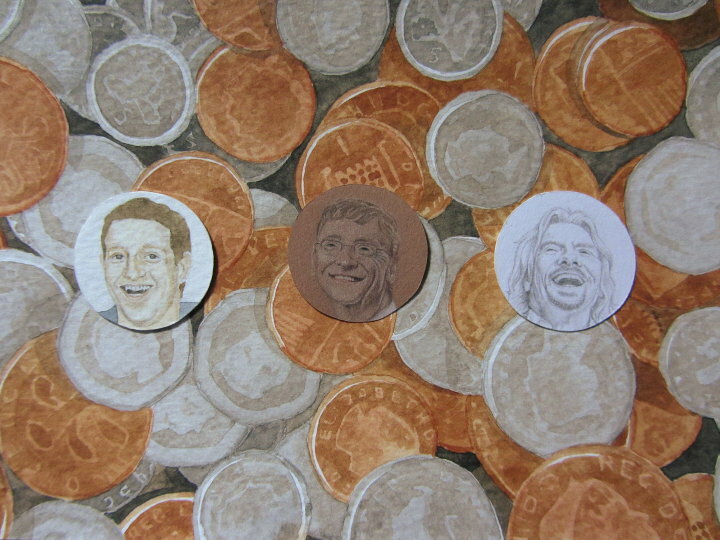 I’ve chosen the theme ‘funny money’ and drawn, painted and coloured three of the richest people in the world, Bill Gates, Richard Branson and Mark Zuckerberg. Until this point it’s been going well, I’ve got my three little portraits cut out and ready to go, but now I’m stumped on the background! I thought that a painted heap of coins would do the trick, and I’m pretty pleased with how it turned out, but it’s a bit too busy as a background! So I thought I would ask you lovely bunch to see if you have any suggestions for a more subtle background? Or perhaps I should just submit the coin painting minus the portraits… I really am in a quandary! 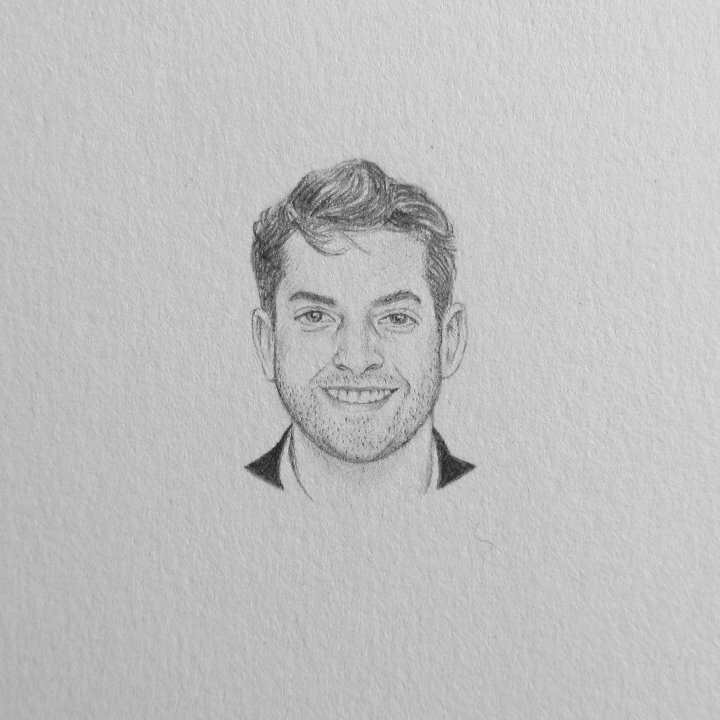 Anyway, besides this, I’ve been working on my secret A3 portrait commission which is coming along really well – I wish I could share it with you! I also did a little midweek doodle, just because I felt like it! I really, really want to make a colouring book full of doodles, mandalas and quirky drawings, but time is always against me. I think I’m going to try and build up a good portfolio over the coming months and see where I can go from there. I’m not too sure on my 52 faces portrait this week! I am a closet fan of the ‘reality’ TV series, The Only Way is Essex – it’s my guilty secret! This is James ‘Arg’ Argent from the series, but I’m not sure it’s a particularly good likeness. I’m going to tweet him a picture of it though, so I hope he likes it! Thanks for reading to the end and for all your lovely comments week after week! I’m sharing this post on the following blogs: Paint Party Friday, The Queen of Creativity, Handmade Harbour, Happy Friday and Blue Chair Diary Illustrations! Sorry I can’t help with the background although I like Alison’s suggestion. That is a mini mini picture well done. Oh I just love that you are sharing more on your blog…you are so prolific. Love all these faces they are amazing!! What a hidden talent you are!! Sounds like there is a bit of marketing going on…good for you!! I know the first three characters of course but not the fourth…The money is fabulous….I look forward to seeing how you resolve your quandary! Thanks for sharing… All the best on these cool endeavors!! Adult colouring books are the rage!! I think all of the above are truly amazing. Your artist skills are out of this world! But, seriously, I do like the faces on the coin background. I think it looks great. Your tiny portraits never cease to amaze me!! LOVE it! Might want to try a strip of white cardstock a bit taller than the face circles that stretches across the width of your background and then mounting the faces in a row on top – clear as mud? I like the ideas all above. Especially Allisons suggestion of having the coins more faded. 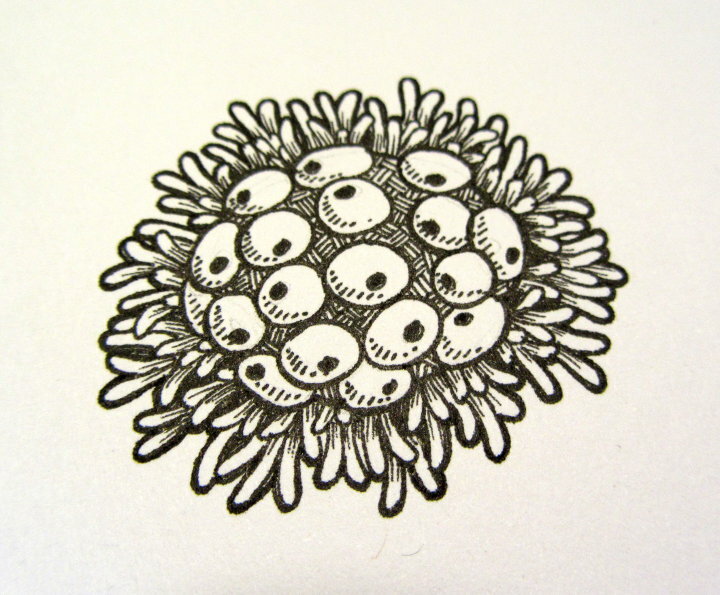 Or even have the faces on a tree as coins: ‘money doesn’t grow on trees’? Amazing work though. 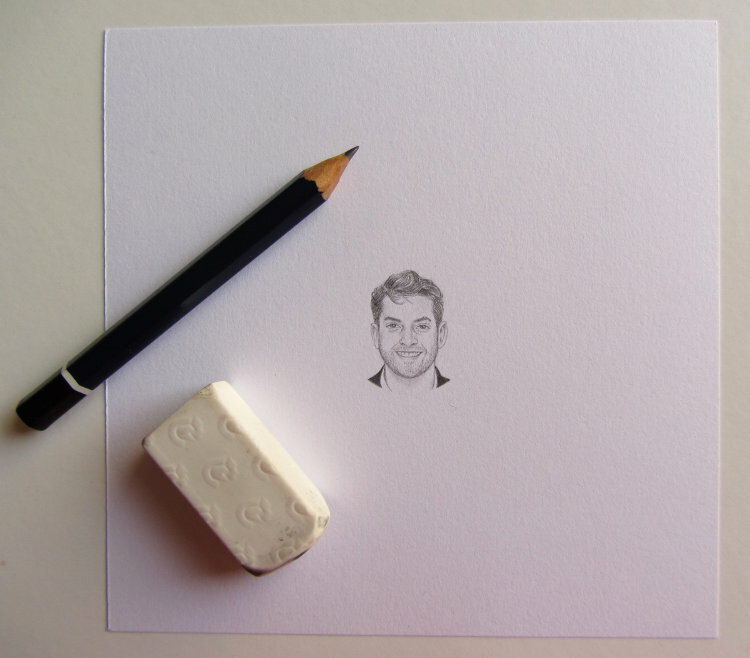 I marvel at your miniature drawings! I love your tiny portraits and think the idea of a money background is good but Bill disappears. Could you not paint a set of 3 large pale coins in the middle then centre the mini pic’s on them. You would still see part of the coins but would highlight the images better. The coin background is lovely, it’s a shame it’s too busy. How about mounting them each on a stack of coins, or in the palm of a hand with a few coins in it? I think you should definitely use the portraits. 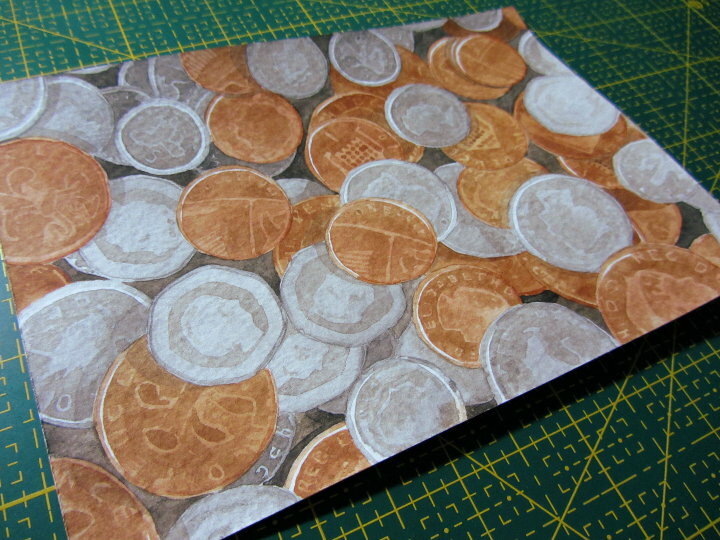 I like the idea of a background based on money, but wondered if you could use part of the design from a paper note, but maybe make it paler and a bit more abstract. Instead of having a pile of coins, why not try painting something a little larger like notes, so that your portraits stand out a little more. I like the coins but like some of the others have said, maybe try them paler so your portraits show up better. Or make sure the darker background is placed on the silver coins and the others are placed on the copper coins. I love the idea! I think that the style of the coin background and the style of the portraits are causing the problem. If you rendered the coins with your pencil style then I think that the whole thing would marry together nicely. Though I am loving the looser watercolour of the mixed coin background!! Thanks for your suggestion Iain…but I’ve run out of time! I decided to keep with the coins I’ve painted already and cut out the portraits to stick on in place of the queen’s head!